GPS Tracking devices can be used to track people, vehicles and other assets, anywhere on Earth. There are 27 satellites orbiting the earth, 24 are operational, the other three will become operational if one of the satellites happen to fail. At any given time there are at least three satellites that are visible in the sky from any location. These satellites then triangulate on the position of the GPS tracking device. 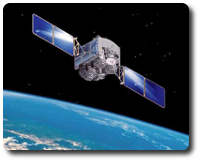 By continuing to triangulate the coordinates at regular intervals, the satellites can determine the speed of an object, the distance traveled and how long it has been stationary. GPS tracking has helped our clients with dishonest employees, tracking precious cargo and safety concerns. The use of a GPS device is a highly specialized operation. This is especially true if the device is being installed covertly. Results are real time and can be viewed from your desktop or smart phone. Chicagoland Investigative Services has been using GPS devices since 2004 and information obtained through this has helped our client’s bottom line and allowed them to make informed business decisions.